Beautiful day at mt. 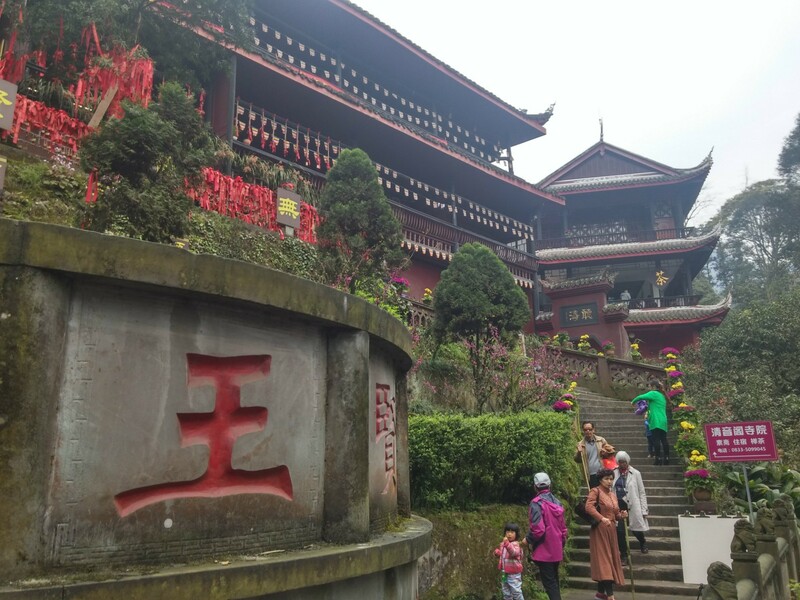 Emei (峨眉山) together with colleges Kai and Mark. We took the 7:20 bus from Xiannanmen bus terminal in central Chengdu. Which took about 2,5hr to arrive at the mountain side. We ate an early dumpling lunch and headed to the mountain. 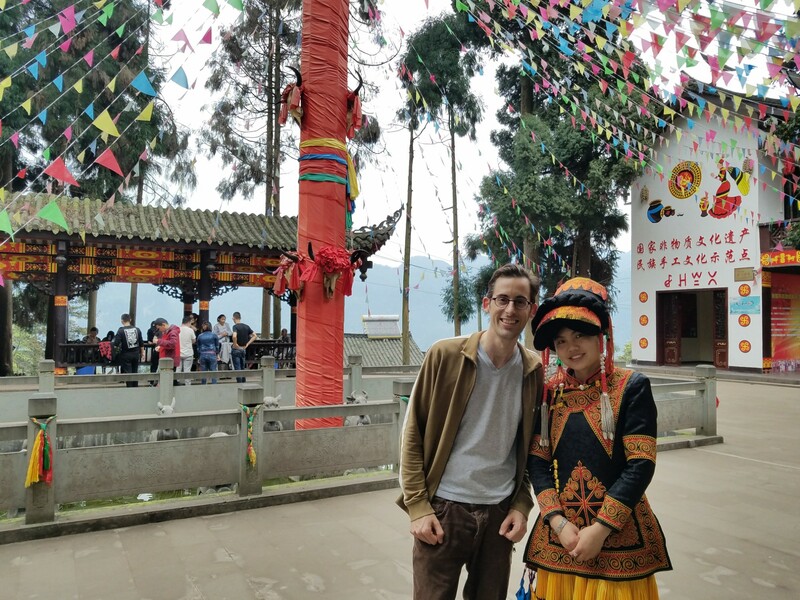 First we visited the Qingyin Pavilion (清音阁), which means “Pavilion of Pure Sound,” built in 877. 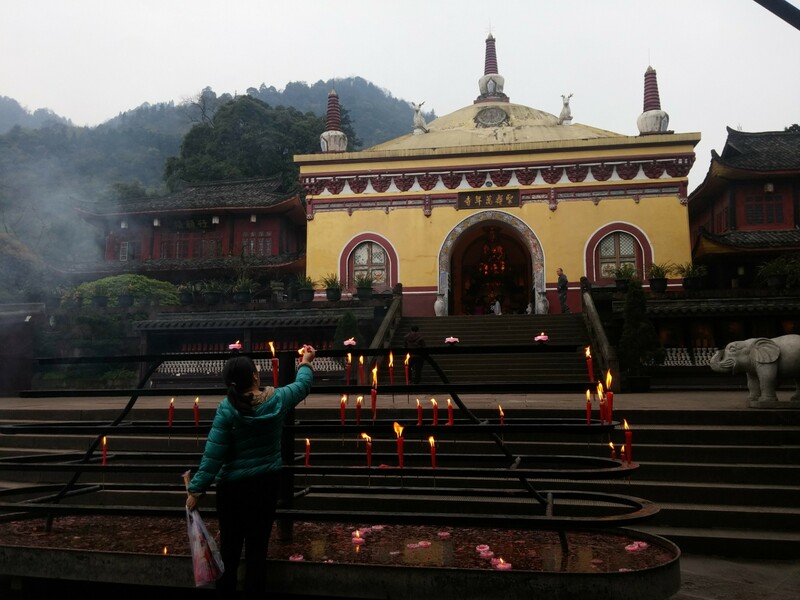 We kept going up and walked the steps to Wannian Temple (万年寺) The Wannian Temple is one of main eight temples at Emei Mountain. 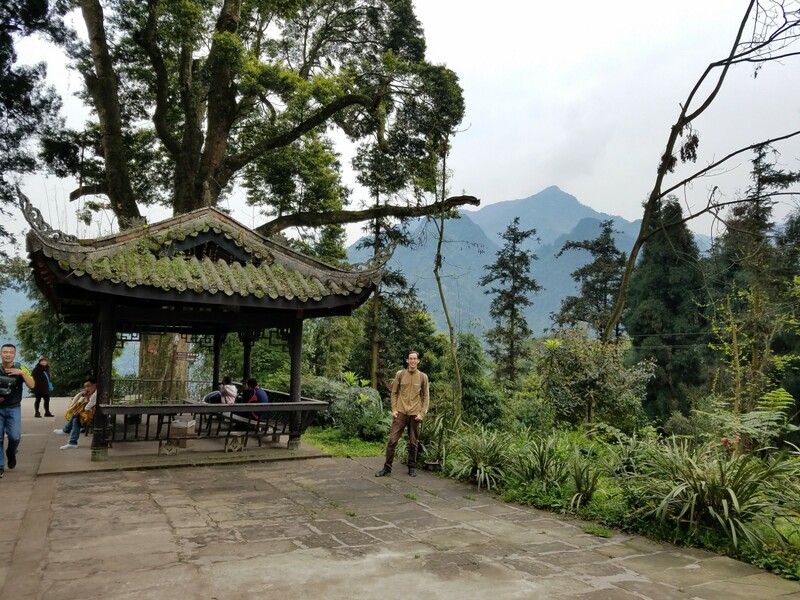 Sitting 1020 meters above sea-level, with a Buddha statue over 1000 years old. We then had to turn back in order to get back home but there are many other sights at this mountain to enjoy. In the bus back my chair was behind an eight year old kid, tedious at first , turned out he wanted to practice English and had fun talking away, learned some Chinese from him as well. All and all a great trip!